Home Buyers and Sellers Rate RE/MAX ABOVE THE CROWD! J. D. Power and Associates just announced that RE/MAX ranks highest in customer satisfaction for both buyers and sellers in its 2011 Home Buyers/Sellers Study! The study collects information from home buyers and sellers for customer satisfaction and ranks the largest national real estate companies. The customer satisfaction study for home buyers is based on three factors including agent/salesperson, office, and variety of additional services, while four factors are used for the home seller study: agent/salesperson, marketing, office, and variety of additional services. RE/MAX out-ranked its competitors and scored highest in the home-buyer study with 805 (on a 1,000 point scale); RE/MAX also ranked highest in the home seller study with a score of 791! You can click here to read the full news release. Also…feel free to share this great news on your social media networks! If you’re not sure what to say, click here for suggested messages. * Please Note* Details of the licensing agreement with J.D. Power and Associates are still being finalized. so we refrain from using their logos, graphics and images at this time. sorry for that. This list of the tallest residential buildings in the world ranks buildings whose occupiable height is at least 90 percent devoted toresidential use. Q1, located in Gold Coast, Australia, is the tallest residential building in the world. Several taller residential skyscrapers are planned, mostly in Dubai, United Arab Emirates. The tallest one will be Pentominium, currently under construction; upon its completion in 2014, it is expected to reach 516 metres (1,693 ft) and will become the world’s tallest residential building. Other notable residential skyscraper developments include DAMAC Heights and Marina 106. They were expected to become the second and the third tallest residential buildings in the world at 426 metres (1,398 ft) and 425 metres (1,394 ft) respectively; however, the construction of Marina 106 has been halted and DAMAC Heights has been downsized to 420 metres (1,380 ft) due to the financial crisis of 2007-2010. Princess Tower will become the tallest residential building in the world upon completion in late 2010, and will remain so until 2014 when it will be surpassed by Pentominium. Other residential skyscrapers includes The Marina Torch, 23 Marina, Elite Residence, and D1. Chicago Spire in Chicago, Illinois, which was expected to become the tallest residential building in the world at 610 metres (2,000 ft), has also been put on hold indefinitely because of thefinancial crisis of 2007-2010. This list ranks completed and topped out residential buildings that stand at least 200 metres (656 ft) tall, based on standard height measurement. An equal sign (=) following a rank indicates the same height between two or more buildings. This list contains residential buildings that are at least 200 metres (660 ft) in height and are either currently under construction or on-hold. It does not include completed, topped-out, approved or proposed skyscrapers. A. ^ Construction is currently on-hold due to lack of finances. B. ^ Topped out in 2010, expected completion in 2011. Re/max Realtor Partners are there to help you all over the world…. The Canadian dollar is virtually at par. And there’s that gloomy weather outside. That can only mean that Canadians are thinking Florida. Experts say consumers should be even more careful than normal when purchasing down south. Buying a home in the United States just got a little riskier; after all 50 states launched an investigation into the mortgage industry this fall. The U.S. government is looking at whether banks used possibly fraudulent paperwork to get homeowners out of foreclosed homes. This has caused deals on foreclosed homes to stall in areas such as Arizona and Florida, where nearly half the deals done there are foreclosures. Investigators are looking at whether banks used robotic signers to sign hundreds of affidavits a day without reviewing them properly. 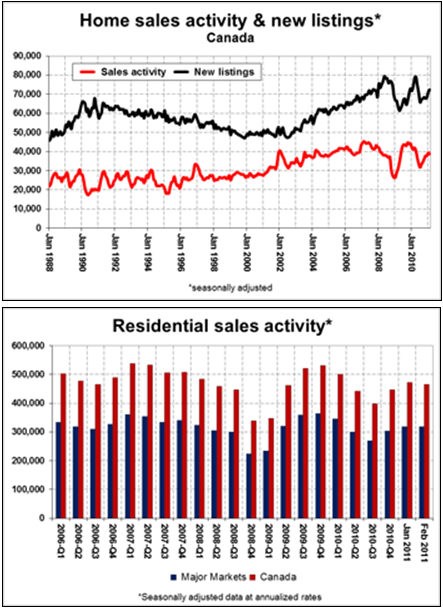 This will help foreclosed households stay in their homes rent-free for longer, but watch sales activity dry up in coming months since it was foreclosed sales that were really impacting the turnover in recent months. The freeze isn’t expected to last for long. While there was a drop in foreclosure filings in October, a new wave of foreclosures is expected to hit the market once the regulators play catch up. However, Canadians should always be wary of buying foreclosed properties. There is a lot of due diligence that you have to do, and this will spook the market even more. Canadian buyers have to do their due diligence before purchasing. In the U.S., you always have to be prepared to do a little more digging especially with a foreclosed property. Many of the best foreclosed properties are already purchased by large private equity corporations or hedge funds. Unless you have boots on the ground and you have time to sniff around, it’s tough to find that diamond in the rough. However, there are lots of other properties on the market that are “distressed priced” but not in foreclosure. Some inventory of developers who are trying to sell empty units that were built during the boom. You could get a one bedroom condo in Sarasota Florida that would have cost more than $200,000 during the peak for $59,000, he says. A one bedroom in Orlando is going for $66,000 compared with $150,000 at the peak. Still, analysts say the market could fall even further over the next year, as more foreclosures come on the market. In the short run, inventory will be low as in States such as Nevada and Florida; foreclosures are as much as half the market. Canadians are the largest foreign buyers of property in the U.S., representing 23 per cent of all sales according to the National Association of Realtors. Unlike smaller investors, corporate and larger investors have not really been affected by the foreclosure documentation crunch. With the very large transactions there is normally a greater oversight and due diligence. But it has certainly affected people at the consumer level if right people or due diligence is not followed. Some transactions are now taking longer than normal as the market has stalled. Also you see this in cases where the mortgage broker may not have got all the proper paperwork because they were rushing things through. It doesn’t matter the size of the deal, but Canadians should be careful when they sign the dotted line. I think Canadians were all excited about the deals a year ago, and now they’re wondering if the bottom will ever come, things have spiraled downhill so badly, it’s just overwhelmingly bad down there. And just because the house may go into a foreclosure auction, doesn’t mean the price is right. There are lots of homes that don’t sell, and the bank takes them back and resells them later for a cheaper price. This is also the better route because unlike the foreclosure, you’re not getting something ‘as is’. It is recommends that buyers get a lawyer to review their transaction in the U.S. Unlike Canada, many transactions are done with title insurance companies doing the paperwork without the benefit of a lawyer. I think Canadians are obsessed over taxes, so they hire an accountant first, but they forget that they could also use legal advice, especially to make sure you have a clean title, and to make sure that your deal will close. All you need is right realtor partner who guide you thru the process. You sure can contact us at www.vijaygandhi.com and get referred to right RE/MAX realtor partner across the south of border. Thanks for visiting blog; it’s always updated with new & useful info. OTTAWA, September 30, 2010 — The Competition Bureau announced today that it has reached an agreement in principle with the Canadian Real Estate Association (CREA), which, if ratified by CREA‘s members, will ensure that real estate agents have the flexibility to provide innovative service and pricing options to customers. 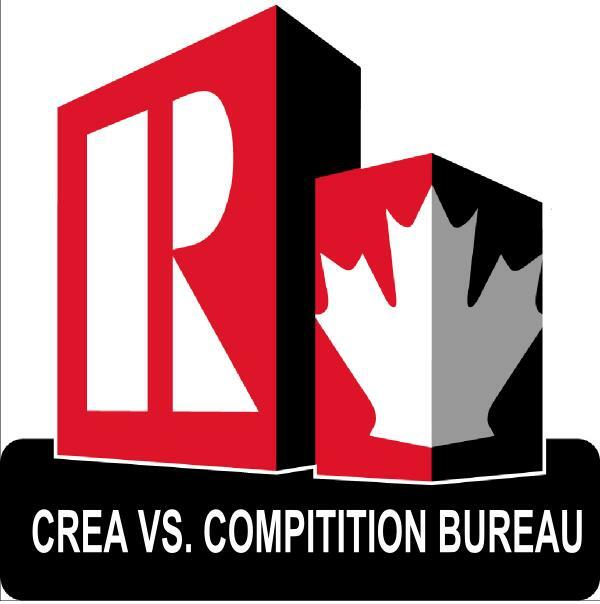 In February, the Commissioner of Competition challenged, before the Competition Tribunal, anti-competitive rules imposed by CREA on real estate agents who list residential properties using the Multiple Listing Service (MLS) system. The Bureau launched its challenge after three years of discussions and several months of intensive negotiations with CREA. The Bureau agreed to resume negotiations in September after being approached by CREA‘s representatives. Under the agreement, CREA will eliminate its ability to adopt anti-competitive rules that discriminate against real estate agents who are hired by consumers only to list or merely “post” a residential property on the MLS. After the agreement is ratified, a copy of the legally binding consent agreement will be posted on the Competition Tribunal Web site. The agreement will remain in force for 10 years. While the title of this title may sound confusing at first, the meaning is simple: whenever you buy a condo, make sure it is a unit that would be easy to sell again in the future – even in a strong buyer’s market. This is advice I always tell my clients, especially investor clients. May seem like common sense, but it is worth exploring a little further. Besides a brief 6-month window between fall through spring, the Toronto market has basically been a seller’s market for the better part of the last decade. Anything sells in a seller’s market, and hopefully when it comes time for you to sell you reap the benefits of a strong seller’s market, but what if you sell and the market is slow? What if there are 10 listings for every buyer, instead of the other way around? Make sure you buy smart and buy a condo that will be easy to sell and sell quickly even in a buyer’s market. Always buy a property that a wide range of buyers would be interested in. Avoid one-of-a-kind units. Cookie cutter condos are not always a bad thing when it comes to investment! Be wary of units with special features like terraces, multiple parking spots, customized kitchens etc. Not all buyers appreciate these features and therefore they will not be willing to pay extra for them. Go as high as possible. The 25th floor will sell before the 2nd floor in a slow market. In a hot market like we are in, it is easy to lose sight of the fundamentals of real estate investing. Buyer’s often ‘settle’ for a property that does not meet the above criteria just to get into the market. Don’t settle and always think about what if you had to sell during a buyer’s market. Questions about buying investment condos in Toronto? Contact me directly or leave a comment here. * Interest rates are really low. One of the best benefits of buying your first home now is that you can lock in for the life of your loan at one of the lowest interest rates in history. Over the lifespan of a loan you will save a lot of money not to mention a low monthly payment. * Prices are affordable. Buyers who may not have been able to afford to enter our market can now afford a good reasonable home. Whether someone is considering a small home or a studio condo, the starting price is probably going to be affordable and in a range your salary can budget. 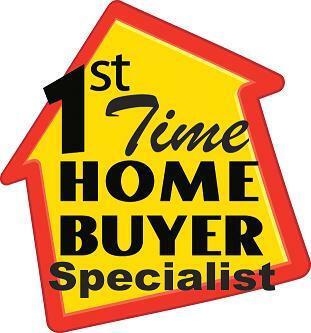 * Sellers are selling homes in a reasonable condition. During a home inspection there will always be repairs that are suggested on the home. In this market sellers are usually willing to repair reasonable requests. A buyer can expect that unless a home is sold “as is” it will probably be sold in a good shape. * You don’t have to make your decision at 10pm on a Wednesday. 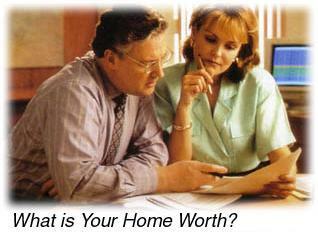 In most cases you can take reasonable time to make an offer on a house. You won’t show up on the first day it was listed and find out there are already offers. It is possible to find multiple offers, but in most cases you don’t have to fend off competition every step of the way. * You won’t get into a loan you can’t get out of. With today’s lending you can be sure the loan you are offered is one that is reasonable for your income and has payment terms that will keep you in your home as long as you want to be there. * Sellers are open to giving a credit. It is common for first time home buyers to try and negotiate a credit from the sellers to pay for closing costs freeing up more of their savings for the down payment. In this market sellers are willing to pay this credit. The next scheduled date for announcing the overnight rate target is Oct.19. The info. Is intended as general information only and does not constitute legal advice. If you need legal advice, please speak to a lawyer.